What is the cheapest way to get from Nara Station to Kiyomizu-Gojō Station? The cheapest way to get from Nara Station to Kiyomizu-Gojō Station is to drive which costs ¥490 - ¥750 and takes 34m. What is the fastest way to get from Nara Station to Kiyomizu-Gojō Station? The quickest way to get from Nara Station to Kiyomizu-Gojō Station is to taxi which costs ¥14000 - ¥17000 and takes 34m. 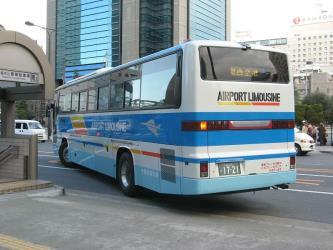 Is there a direct bus between Nara Station and Kiyomizu-Gojō Station? No, there is no direct bus from Nara Station station to Kiyomizu-Gojō Station station. 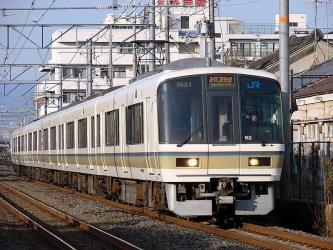 However, there are services departing from JR Nara Station and arriving at Kyoto Station Hachijou gate via Osaka Itami Airport. The journey, including transfers, takes approximately 2h 29m. Is there a direct train between Nara Station and Kiyomizu-Gojō Station? No, there is no direct train from Nara Station to Kiyomizu-Gojō Station. 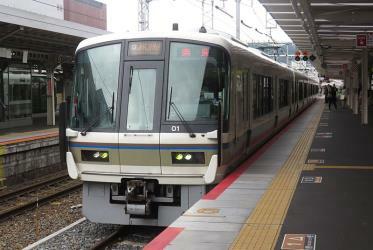 However, there are services departing from Nara and arriving at Kiyomizu-Gojo via Tofukuji. The journey, including transfers, takes approximately 1h 22m. How far is it from Nara Station to Kiyomizu-Gojō Station? The distance between Nara Station and Kiyomizu-Gojō Station is 35 km. The road distance is 42 km. How do I travel from Nara Station to Kiyomizu-Gojō Station without a car? The best way to get from Nara Station to Kiyomizu-Gojō Station without a car is to train which takes 1h 22m and costs ¥800 - ¥1200. How long does it take to get from Nara Station to Kiyomizu-Gojō Station? It takes approximately 1h 22m to get from Nara Station to Kiyomizu-Gojō Station, including transfers. Where do I catch the Nara Station to Kiyomizu-Gojō Station bus from? Nara Station to Kiyomizu-Gojō Station bus services, operated by OKK Airport Bus, arrive at JR Nara Station. Where do I catch the Nara Station to Kiyomizu-Gojō Station train from? Nara Station to Kiyomizu-Gojō Station train services, operated by Japan Railways (JR), depart from Nara station. Train or bus from Nara Station to Kiyomizu-Gojō Station? The best way to get from Nara Station to Kiyomizu-Gojō Station is to train which takes 1h 22m and costs ¥800 - ¥1200. 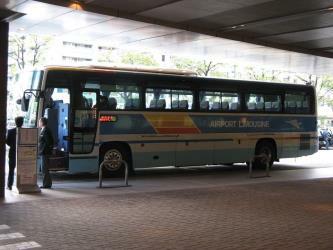 Alternatively, you can bus, which costs ¥2800 - ¥3900 and takes 2h 29m. What companies run services between Nara Station, Japan and Kiyomizu-Gojō Station, Japan? Japan Railways (JR) operates a train from Nara Station to Kiyomizu-Gojō Station every 30 minutes. Tickets cost ¥650 - ¥950 and the journey takes 1h 11m. 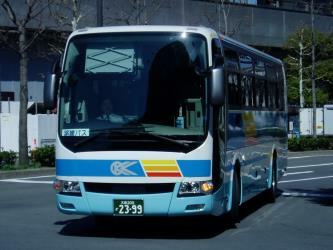 Alternatively, you can take a bus from Nara Station to Kiyomizu-Gojō Station via Osaka Itami Airport and Kyoto Station Hachijou gate in around 2h 29m. Where does the Nara Station to Kiyomizu-Gojō Station bus arrive? Nara Station to Kiyomizu-Gojō Station bus services, operated by OKK Airport Bus, arrive at Kyoto Station Hachijou gate. Where does the Nara Station to Kiyomizu-Gojō Station train arrive? Nara Station to Kiyomizu-Gojō Station train services, operated by Japan Railways (JR), arrive at Tofukuji station. Can I drive from Nara Station to Kiyomizu-Gojō Station? Yes, the driving distance between Nara Station to Kiyomizu-Gojō Station is 42 km. It takes approximately 34m to drive from Nara Station to Kiyomizu-Gojō Station. Where can I stay near Kiyomizu-Gojō Station? There are 2660+ hotels available in Kiyomizu-Gojō Station. Prices start at ¥7980 per night. Temples and shrines are the calling cards of this Japanese city. With more than 1000 temples and 400 shrines on offer, you can talk a walk on the spiritual side all day, everyday. Be at one with nature at the numerous Japanese gardens throughout the city, get your cultural hit from Japanese traditional arts such as kabuki (stage dramas) and noh (musical dramas), and delve into history at the city’s galleries and museums. Don’t miss out on a geisha dance or tea ceremony, shop til you drop at Shijo Street and indulge in delicious food at Nishiki Market. Yasaka Shrine, once called Gion Shrine, is a Shinto shrine in the Gion District of Kyoto, Japan. Situated at the east end of Shijō-dōri (Fourth Avenue), the shrine includes several buildings, including gates, a main hall and a stage. The Kyoto Botanical Garden, also known as the Kyoto Prefectural Botanical Garden, is a major botanical garden with conservatory located next to the Kamo River, Hangi-cho Simogamo, Sakyō-ku, Kyoto, Japan. It is open daily; an admission fee of 200 yen is charged, and an additional fee of 200 yen is charged for accessing the conservatory. Rome2rio makes travelling from Nara Station to Kiyomizu-Gojō Station easy. Rome2rio is a door-to-door travel information and booking engine, helping you get to and from any location in the world. Find all the transport options for your trip from Nara Station to Kiyomizu-Gojō Station right here. Rome2rio displays up to date schedules, route maps, journey times and estimated fares from relevant transport operators, ensuring you can make an informed decision about which option will suit you best. Rome2rio also offers online bookings for selected operators, making reservations easy and straightforward.